Woops back to nest view. ENS. But it was a good 6 minutes that he was with us. Love your RED ALERT frame, BTW, scylla! eek, I dunno...didn't hear it cooking my lunch! Oh bother, how could I have not been here for the visit!! It was interesting that EJ didn't see him off, if he was around for up to six minutes!! 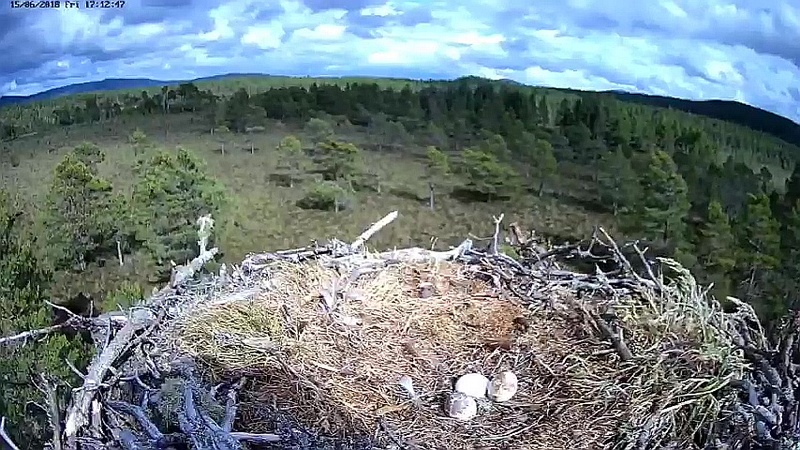 From the recent blog, when they went to 'inspect' the nearby nest, they said the male had "a very white back of the head" and because of that said it wasn't George. Could it have been Blue NU7(15) m. He does appear very white!